It seems that quite a few people disagree quite strongly with my suggestion that atheism is not a conscious choice one makes. Perhaps I'm wrong about that. In any event, it occurs to me that I do not particularly want to be an atheist. In fact, I never wanted to be an atheist. I find it exhausting to be hated by so many people simply because I do not share their god belief. I'd like to walk away from all the bigotry I face here in Mississippi and never have to think about it again. ...except of course that I don't. I don't because I can't. I cannot simply start believing in gods any more than I could will myself to forget how to read, decide that I will no longer recognize the face of a close friend, or forget my native language. I do not believe in gods, and it does not seem to be within my power to change that. 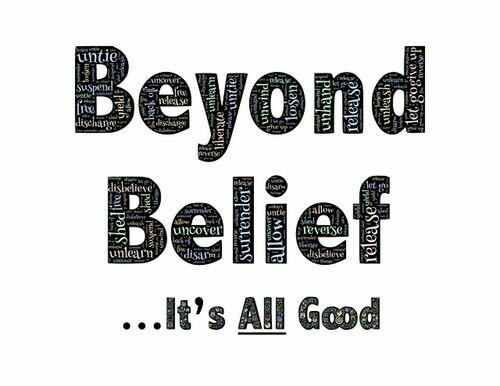 Not believing in gods was not a choice I made; it was a gradual awareness I did my best to deny. I managed to fight it off for more than a year, but it was inescapable. Like my earlier belief in Santa Claus, once it had been lost, it was gone. An atheist was the last thing I ever wanted to be, and if it had been possible for me to avoid it, I certainly would have. Maybe those of you who insist that atheism is a choice you made imagine that you could choose to start believing in gods again. And perhaps you really could start believing in gods again. If so, you have an ability I lack. If I could start believing in gods again, I'd do so in a second. There is an impressive and thoroughly disheartening body of research in moral psychology and some related sciences suggesting that reason plays a much smaller role in human decision-making than we'd like to believe. Most of our moral decisions appear to arise from emotion, and once made, are justified after the fact through reason. That is, once we've made the decision, we seek support for it. You can find a decent summary of these findings in Jonathan Haidt's book, The Righteous Mind: Why Good People Are Divided by Politics and Religion. It is a thought-provoking read with obvious relevance. I mention this because I am acutely aware of having used reason to support, justify, and defend atheism. The thing is, I was probably an atheist before I did this. It is not that reason had nothing to do with me becoming an atheist; it did. But it was not like I approached the question of gods in a completely detached, objective, and emotionless stance as if I had no stake in the game and then reasoned my way to atheism. Emotion likely played a far more important role than I realized at the time or than I'd like to acknowledge even now. It probably wasn't until it began to feel as though there might not be any gods out there that I applied reason in an effort to make sense out of what I was experiencing and explain it to others. My feelings on the subject of gods have not changed. It still feels as though we are alone in the universe, with no entities answering our prayers or making their presence known. As long as that is the case, trying to reason myself into god belief seems futile. And so, while I might not want to be an atheist anymore, I shall accept that this aspect of my fate is probably not mine to decide.